Home Love Do Your Actions = Love? Do Your Actions = Love? 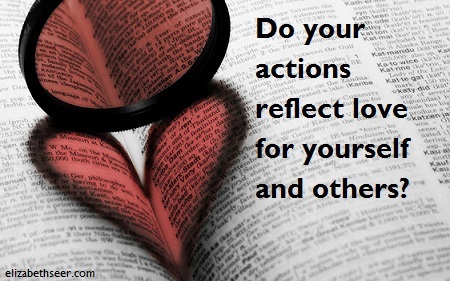 When people around you are doing things out of character, you have to ask yourself, “Are their actions reflecting love?” More importantly, do your actions reflect love for yourself and others? Loving words spoken, and loving ideas thought, hold no value if they are not followed by loving action. actions speak louder than words, love action, loving action. Bookmark.